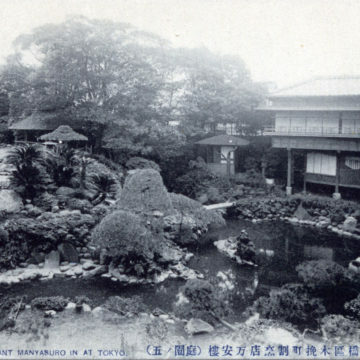 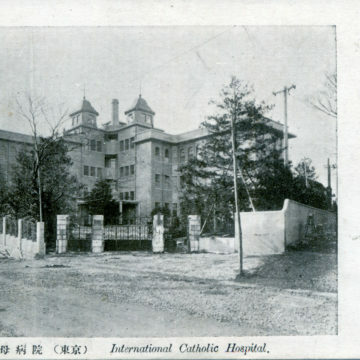 International Catholic Hospital (Seibo Byoin), Shinjuku, Tokyo, c. 1930. 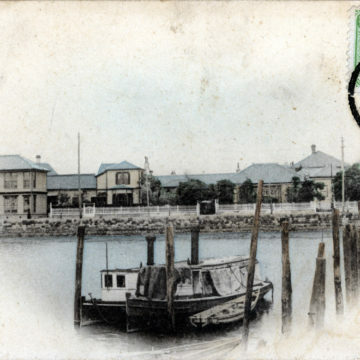 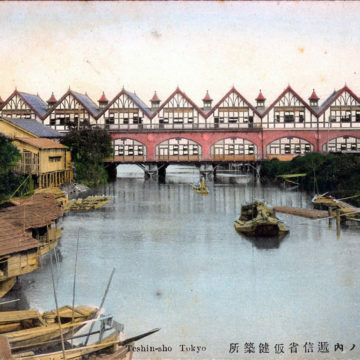 Teishin-sho (Ministry of Communications), Tsukiji, c. 1900. 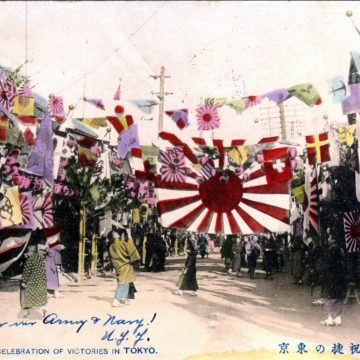 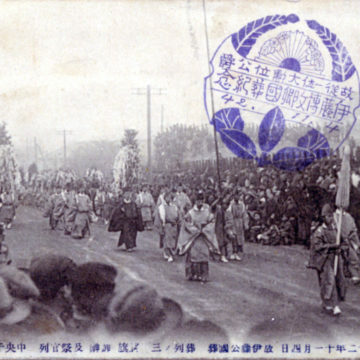 Prince Ito Hirobumi state funeral, 1909. 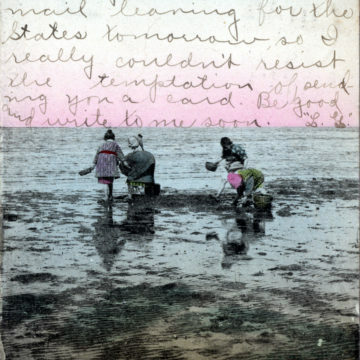 Shell gathering at low tide, 1905. 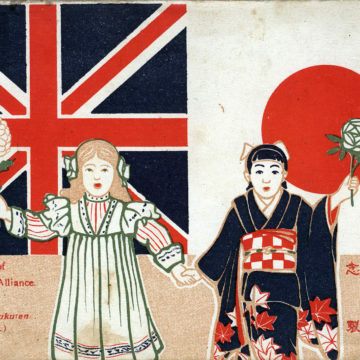 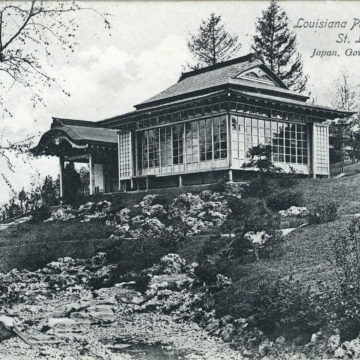 Japan Government Exhibit, Louisiana Purchase Exposition, St. Louis, Missouri, 1904. 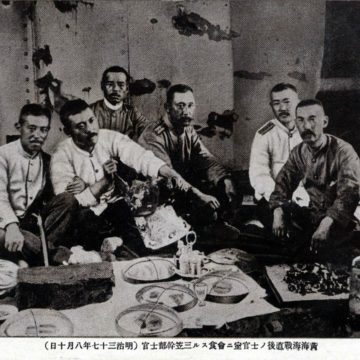 Japanese curry, Officer’s mess, Battleship Mikasa, c. 1906. 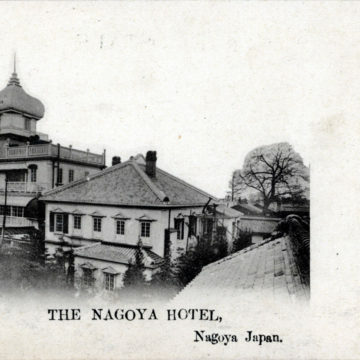 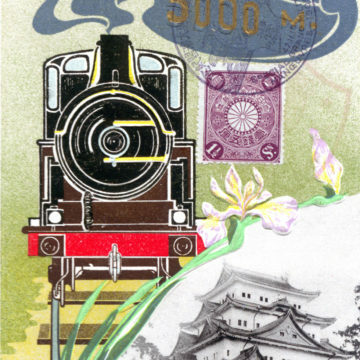 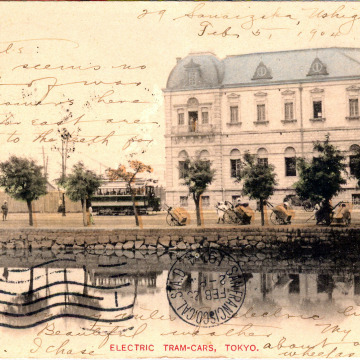 Nagoya Hotel, Nagoya, c. 1900. 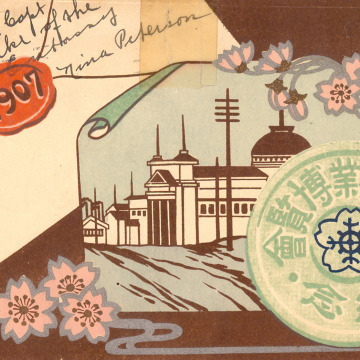 “5000-Mile” Celebration, Imperial Government Railway, 1909. 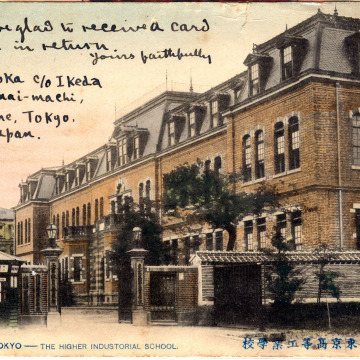 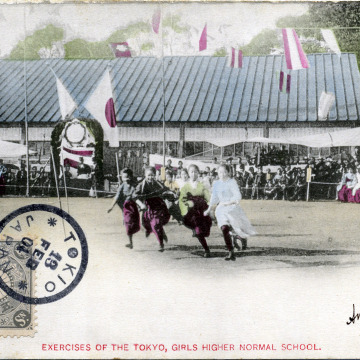 Tokyo Higher Industrial School, 1905. 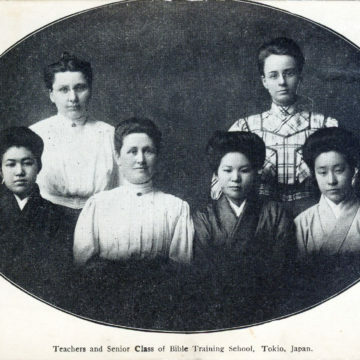 Bible Training School, Tokyo, c. 1905. 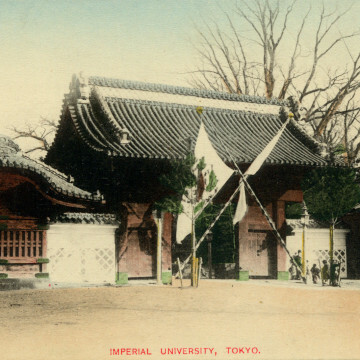 Akamon (Red Gate), Tokyo Imperial University, c. 1905. 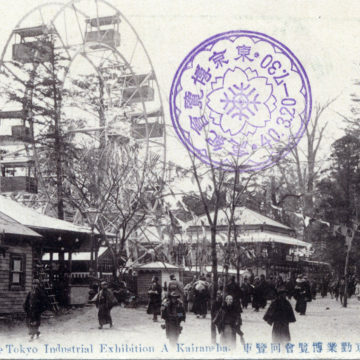 Ferris Wheel at the Meiji (Tokyo) Industrial Exhibition, Tokyo, 1907. 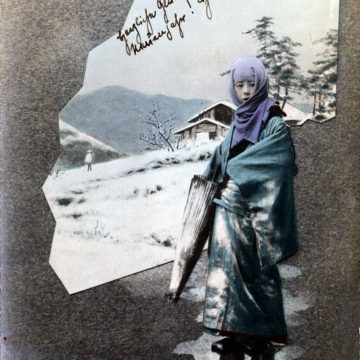 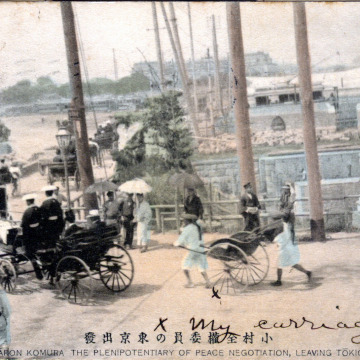 Baron Komura, the plenipotentiary of peace negotiation, leaving Tokio, 1905. 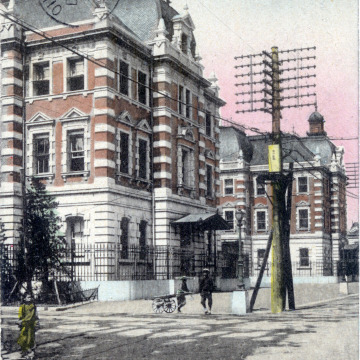 Mitsui Bank, Nihonbashi, c. 1905. 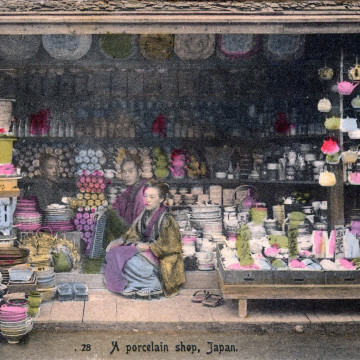 Imari (Japanese) porcelain, c. 1900.